Two lenses are better than one. 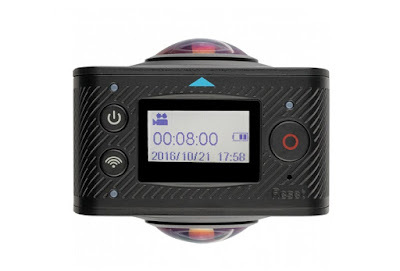 A couple of months ago we enthused greatly about the Kitvision Immerse 360 Action Cam. Well, forget that, as Kitvision has gone one better and brought out a double-lensed cam designed for VR and 'tiny planet' awesomeness. We video review the Kitvision Immerse 360 Duo.